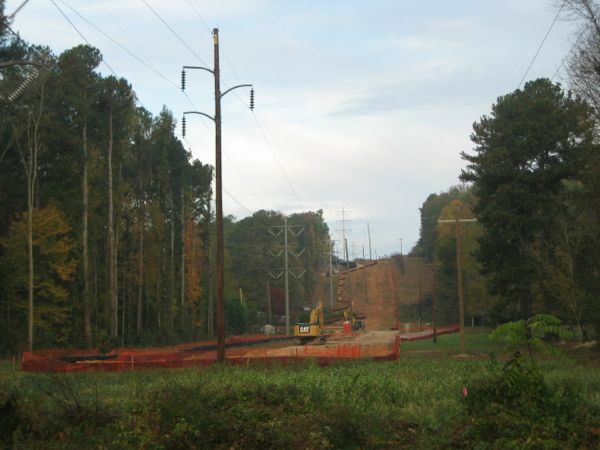 Atlanta Gas Light site on Wood Trail Lane: most equipment is now gone. Several audience members asked about repairs to North Decatur Road--will plates be removed, will the road be repaved? AGL representative Zach said N. Decatur Road areas affected by AGL's work will be "repaved by Christmas" and asked neighbors to call the hotline at 404-584-3039 if they have concerns about AGL's work on particular stretch of road. View of work site on the other side of the creek (behind above view). Tax increases looming for DeKalb County? This trash is your gas: go green DeKalb!